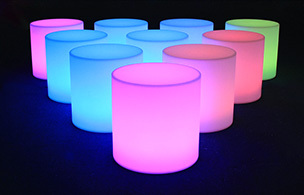 The glow cylinder seats is a product unique to Glow Furniture hire. This light up seat is different to the traditional glow cubes and benches seen in the industry, so if you want something fun and casual and different to the norm, this is the chair for you. 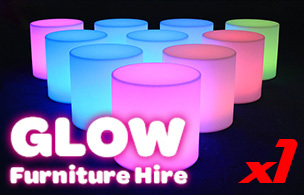 Commonly referred to as a glow ottoman, the cylinder seat is available in large quantities. You can choose what colour you want as it comes with a remote. There is a range of colours, including red, blue, yellow, green, purple, pink, white and more. 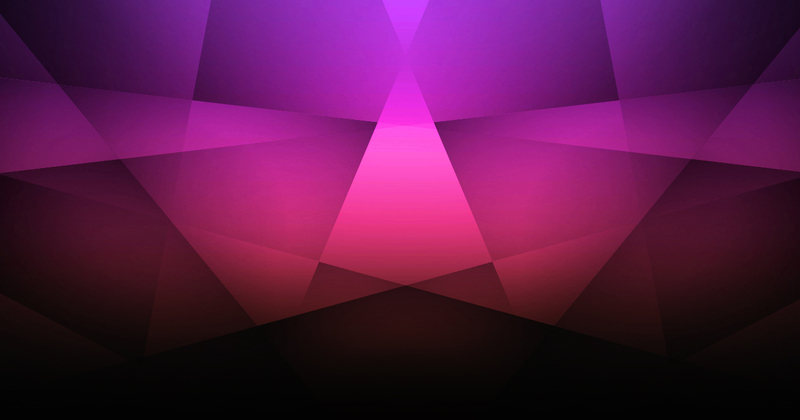 You can select modes where the colours change slowly or fast, or you can choose a fixed colour if you have a theme or colour preference. Please see below some packages for glow cylinder seats in Sydney. If you require more, please call us for a custom quote.